When it comes right down to it, who really cares what the difference is between a crocodile and an alligator. I wouldn’t want to meet either one hiding in the water. I’m not going to contemplate whether it has a wide or pointy snout as it tries to eat me. I’m not going to be able to look at its lower teeth protrusions when its mouth is shut, since its mouth will be wide open as it tries to eat me. I suppose I’ll know if I’m swimming in fresh versus salt water, but I’m sure I’ll forget at that exact moment, as it tries to eat me. I found a drink called the “After a While, Crocodile” by Elizabeth Dodwell, a cocktail author and purveyor of the blog “MixnSip”, which uses equal parts apricot brandy and triple sec with the juice of one lime. The idea was to drop half the lime shell into the murky drink so it looked like a crocodile floating ominously near the surface. 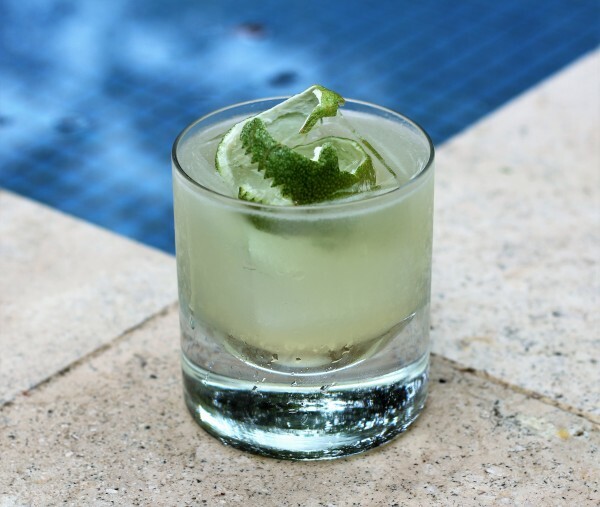 As I am inclined to do, I tinkered with the recipe a bit a steered it towards the margarita variation it was always meant to be, albeit with apricot brandy rather than tequila. I have a wonderful apricot rakia, which is a special type of fruit brandy originating from Eastern Europe, which worked really well here. 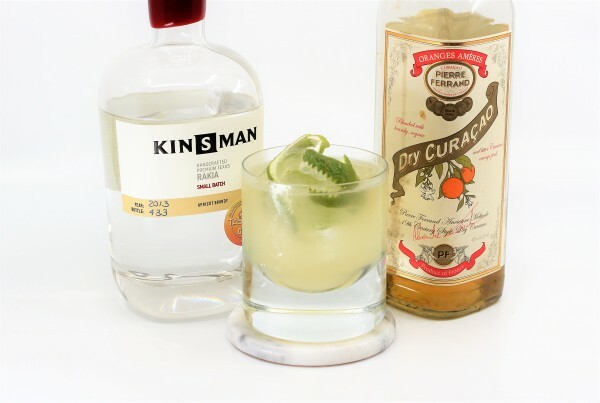 I also used Pierre Ferrand’s Dry Curacao in place of triple sec, because it’s amazing and I love it. I’ll use pretty much any excuse to add it. The result was a deliciously refreshing cocktail which is at once familiar (margarita, anyone?) yet novel and hard to place due to the featured apricot rakia, an unusual experience for most. 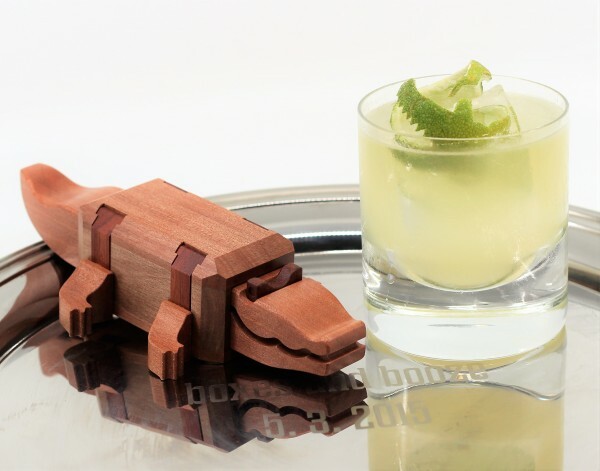 This drink would satisfy the hungry crocodile in all of us, or would be lovely to sip on while running for your life while one tries to eat you. Cheers! Shake with ice and double strain into a favorite glass. 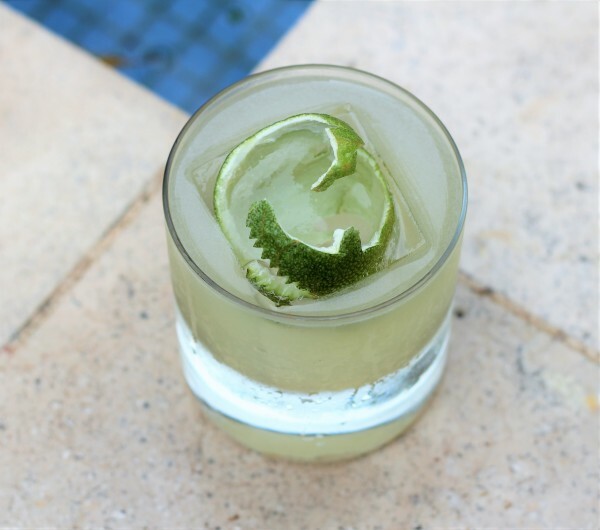 Garnish with lime peel croc frozen inside a clear ice cube (for safety).